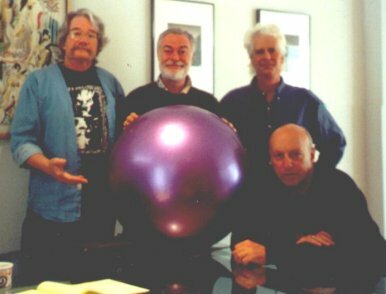 The Firesign Theatre has just wrapped up the second 2 week writing session for the new Rhino CD currently titled "The Bride Of Firesign". 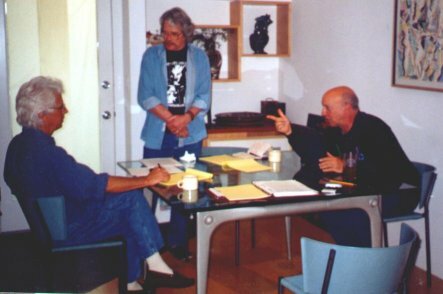 David Ossman flew down to LA in late April and again in May to work at the Bergmans' with the other members. Supposedly, about 15 minutes of the record have been scripted and it could be a Nick Danger episode. Rhino had asked for a Nick Danger recording as part of their contract with Firesign several years ago. Work has been scheduled again in June. Chances are that recording will begin when the guys work on their XM radio show later this summer. 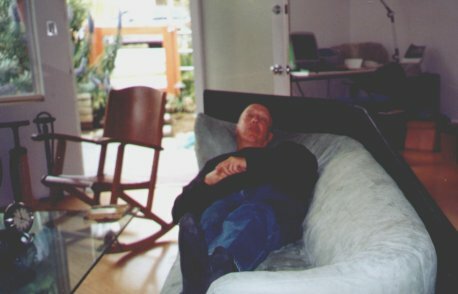 Bergman @ work . . .